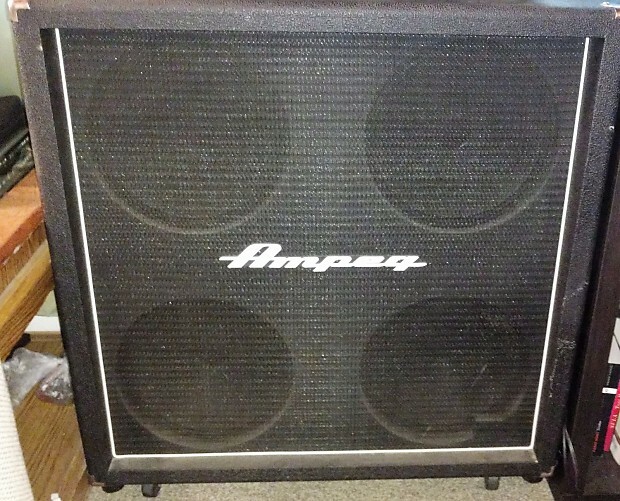 This Ampeg V-412 Cabinet was made in the USA, sometime in the 90's most likely. 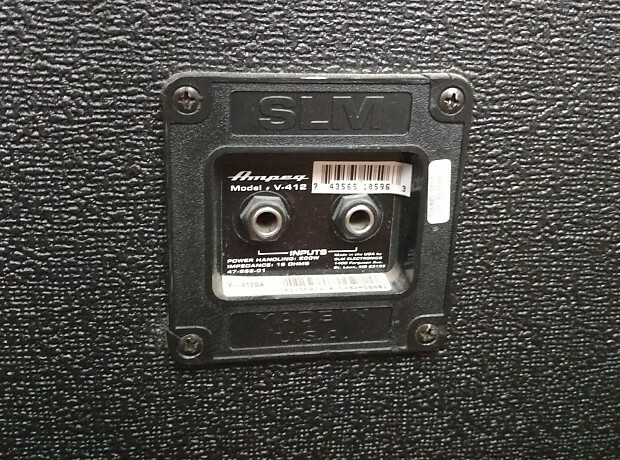 It comes with the stock SLM speakers and is in all around good condition. 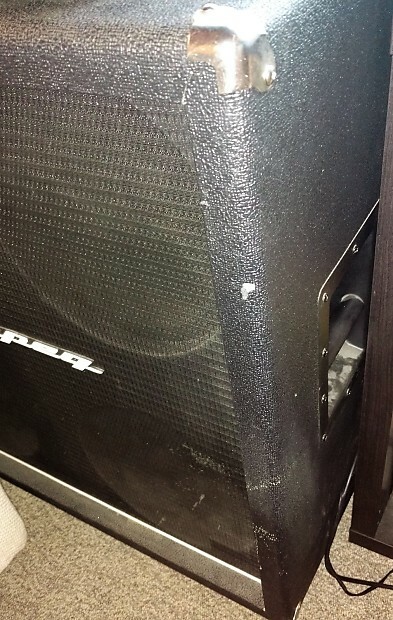 Works perfectly and is great for pushing some air, has some scuffs in the tolex however. It has a 200w capacity and runs at 16 Ohms, it sounds great, I'm just getting rid of it to make room in my apartment. Due to the size of this cab, it's local pickup only. Thanks for looking.